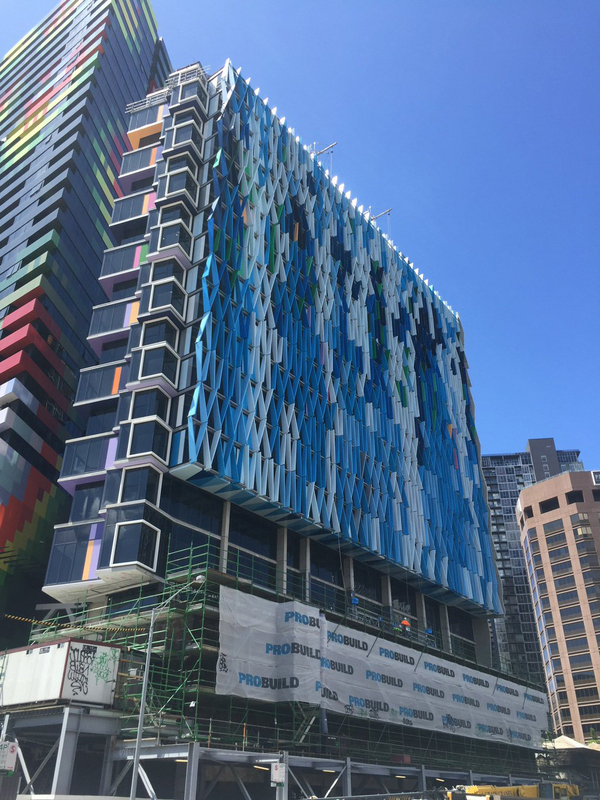 Sitting amongst the colorful facades of Melbourne, Australia’s urban landscape is the recently completed Bouverie Street Apartments. 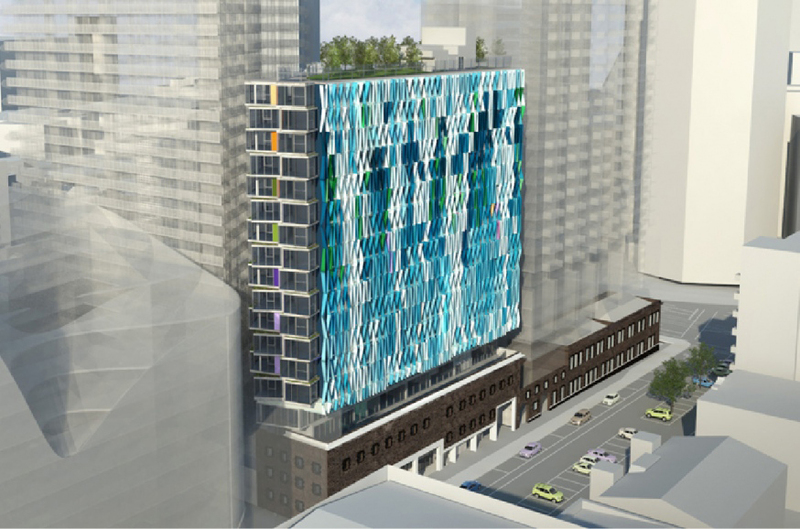 The multi-level residential towers sit on the site of the old Carlton United Brewery and are known for the “cascading waterfall façade” design. Designed by the architects at Studio 505, the project was constructed by ProBuild for client Grocon, Australian Development Company in 2015. In addition to the over 200 residential units, the building also features retail outlets and a green roofing system for its residents. 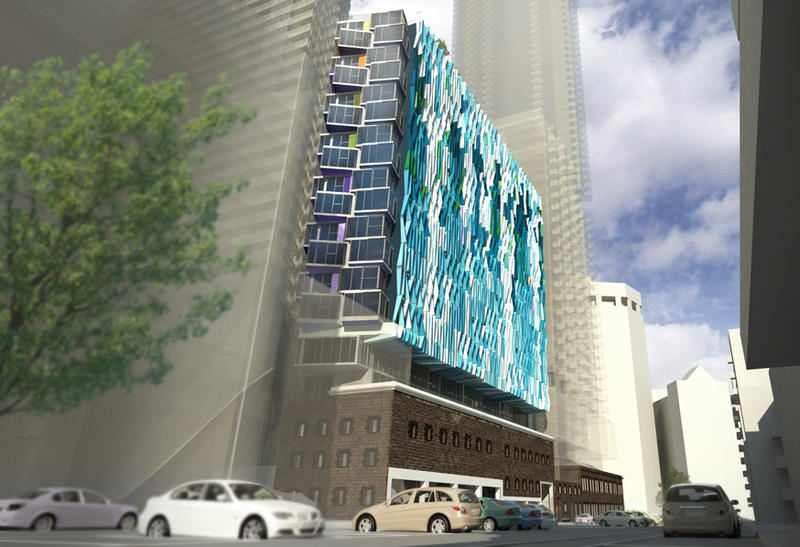 The colorful aluminum composite fins that make up the waterfall façade utilize the Vitreflon FEVE coating system by A & I Coatings. The coating feature Lumiflon FEVE resin technology and was applied by D & M Auto Industrial. The brightness of the fins can be attributed to the Vitreflon coating that has unparalleled gloss range and color retention. 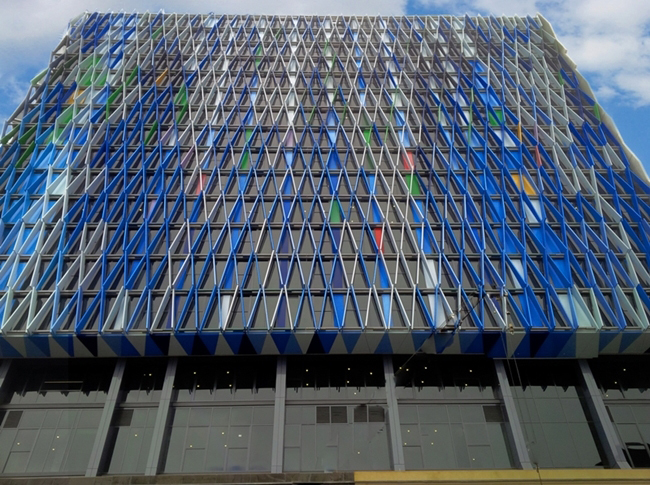 The aluminum fins offer a sunshading mechanism, protecting inhabitants from the harsh Melbourne afternoon sun. The Vitreflon coating, with Lumiflon FEVE fluoropolymer technology, ensures longevity without UV degradation or fading. 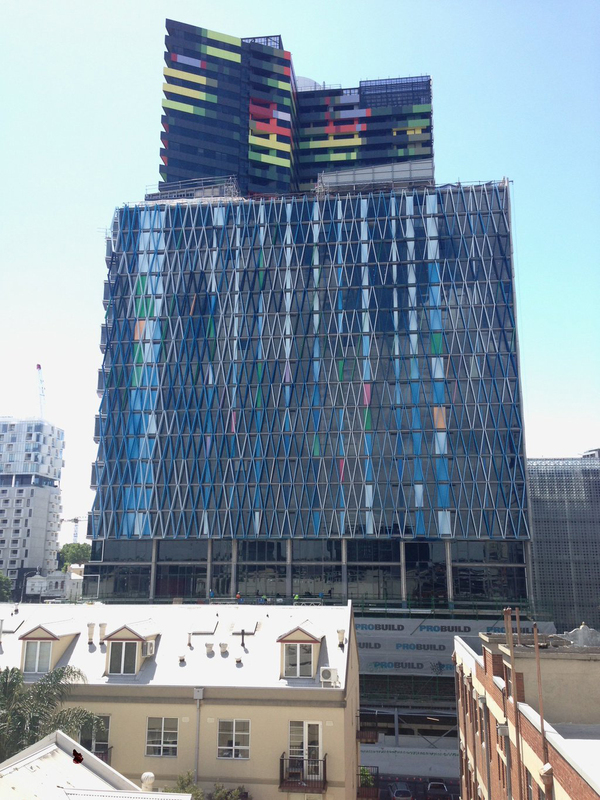 Additionally, the introduction of fluoroethylene vinyl ether (FEVE) fluoropolymer technology provides humidity resistance, essential in the temperate oceanic climate of Melbourne. With an over 20-year guarantee, Vitreflon is a high quality system standing the test of time and weatherability exposure of architectural facades. The coating system is also used in a variety of industrial and infrastructural applications such as bridges, wind turbines, towers, roofing and chemical plants.